East End Angler is Located in Erie, PA between 4 & 7 mile creeks on East Lake Road (Rt 5). 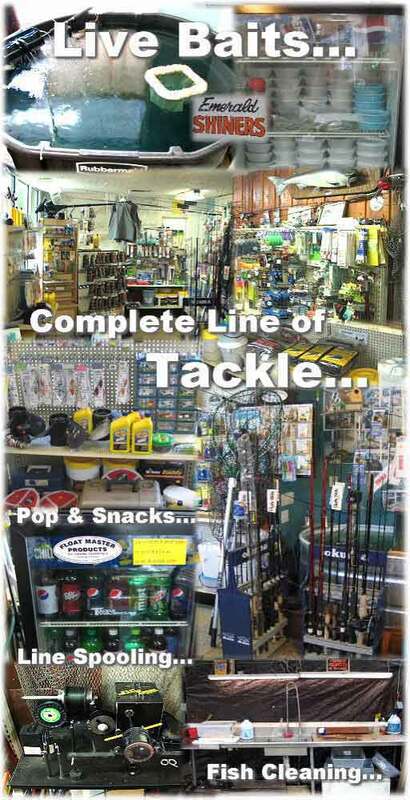 We carry a complete line of rods, reels, terminal tackle and live baits. Fish Cleaned and Smoked. We also accept Visa and Mastercard. Check out our Fishing Report and Specials! Directions from I-90: Take exit 32 and go west on rt 430 for 1.9 miles and bear right staying on rt 430, then go 2 traffic lights to Nagle Rd and turn right onto Nagle Rd. Follow Nagle Rd till it ends at rt 5, turn right onto rt 5 and we are 1/4 mile on the left. This route is less than 5 miles from I-90 to our store. Check out our Contact / Find Us page for a detailed map and additional driving directions. Open 7 days a week, 6:00am to 6:00pm. If you find that you're running late and want to get your fish cleaned or exchanged for smoked before heading home, then just give us a call at 814-898-FISH (3474) and we will wait for you. We can also freeze your fish or keep it refrigerated if you're staying for a few days.